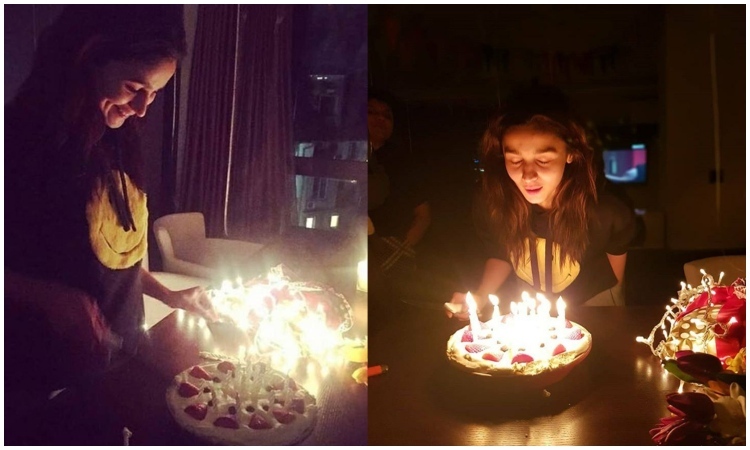 Look who Alia Bhatt surprised on her birthday! A few days ago, on March 15, 2019, Bollywood's sweetheart Alia Bhatt celebrated her 26th birthday. She rang the special day in with boyfriend Ranbir Kapoor, dad Mahesh Bhatt and sister Pooja, with a few close friends at her residence. Nevertheless, while boyfriend Ranbir Kapoor was by Alia's side on her birthday, reports suggest that as her birthday gift, Ranbir Kapoor will whisk away Alia to Aspen Mountain Ski Resort in Colorado for a romantic holiday. As the reports suggest, just before her birthday Alia gifted two cheques worth Rs 50 lakhs to her driver Sunil and helper Anmol. She gave them this amount so that they would buy their own house in Mumbai. They have been with Alia ever since she began her film career, and Alia wanted to show her gratitude and love. On the work front, Alia Bhatt will be in Kalank. The film also stars Varun Dhawan, Madhuri Dixit, Sanjay Dutt, Sonakshi Sinha and Aditya Roy Kapur in key roles. Furthermore, Ranbir and Alia will share screen space for the first time in Ayan Mukerji's Brahmastra. The film, which also stars Amitabh Bachchan, Mouni Roy, Nagarjuna Akkineni and Dimple Kapadia, is being made as a fantasy trilogy, the first installment of which is slated to release this Christmas.